We manufacture our own select gourmet style dips. 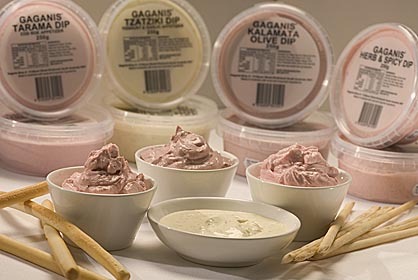 Our selection comprises popular and unique dips from the Mediterranean. Our dips have a distinct creamy texture and full bodied taste. The dips are packaged in 250g and 500g retail tamper proof tubs or 2kg caterer size buckets. Retailers can take advantage of the smaller secure deli style tubs or can opt for the larger 2kg bucket for their own deli use (2kg buckets are also suitable for restaurants and caterers). 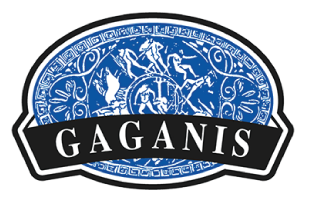 Enjoy our dips as part of your dips platter, yiros, gourmet wrap or in a traditional rustic way, with a wood oven crusty loaf of bread accompanied with our Gaganis Antipasto! Our Tarama, Kalamata and Herb & Spicy Dips are all dairy free.